If you have purchased one of our resources, chances are you have a Talking Mats bag. Last week, I went to West Bengal in India to visit Freeset, the Fairtrade business that supplies our bags. West Bengal has been recording a high crime rate against women over the past several years. 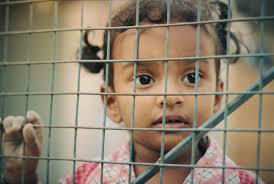 The state shares a border with Bangladesh, Nepal and Bhutan and has become a transit route for human trafficking. Freeset has set up a number of business units in Kolkata and West Bengal targeting vulnerable communities marked by extreme poverty. Freeset offers employment to women who are at risk and is committed to providing fair, living wages and a healthy working environment for all employees. Wages are above the national minimum and all staff receive training , healthcare, child care and savings plans. I was privileged to spend some time with the women listening to their stories, meeting their children and hearing how Freeset is bringing them a brighter future. This entry was posted in Blog on March 4, 2019 by Margo Mackay. It was great to be able to attend the Intermediaries for Justice Conference on the 9th May in City University London. From the very beginning there was a real buzz of excitement in the room. Intermediaries demonstrated throughout the day their commitment and passion for their job despite frequently working in difficult circumstances as well as having a role that is not always appreciated. They are employed by the crown, magistrates and family courts in England, Wales and Northern Ireland. Intermediaries support two way communication between personnel involved in the justice system supporting those previously judged incapable of giving clear and effective evidence to do so. There was a real buzz from the outset at the conference. At times, it can be quite a lonely role being an intermediary. If you get the role right and put the appropriate communication scaffolds in place, everyone communicates well – then some in the justice system find it hard to recognise that you have done anything at all! Baroness Newlove, the victims commissioner for England and Wales who was one of the key note speakers said ‘You need to see how intermediaries work to believe what they do ‘ Being a skilled communicator and being creative is the bedrock of intermediary practice. Baroness Newlove was clear that there needs to be greater access to registered intermediaries and but also there were clear management and long term support issues that need to be addressed by government. Talking Mats is a communication framework that some intermediaries use . One said she could not do the role without Talking Mats and two intermediaries have described their use of them in two previous blogs . 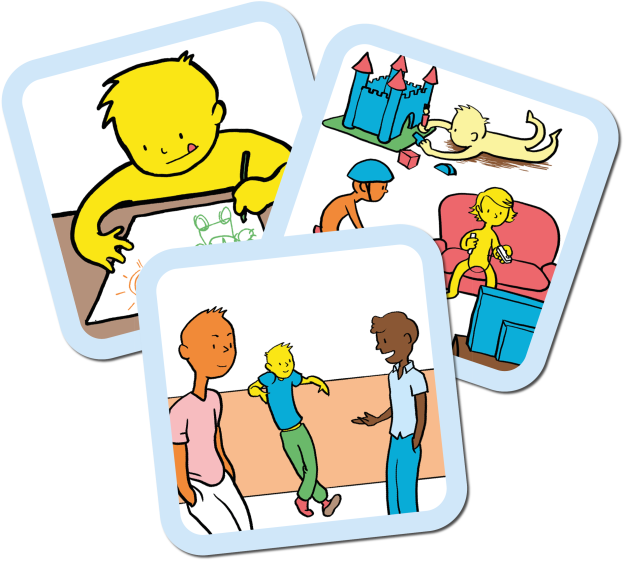 Click to read a blog by Nicola Lewis https://www.talkingmats.com/assisting-vulnerable-people-to-communicate/ and one by Catherine O’Neil https://www.talkingmats.com/talking-mats-used-court/ . So Talking Mats was delighted to be asked to the conference to have a stand and run a workshop. It was great to have Aileen O’Hagan with us and she talked through some case examples when she had used Talking Mats in her role as a intermediary. 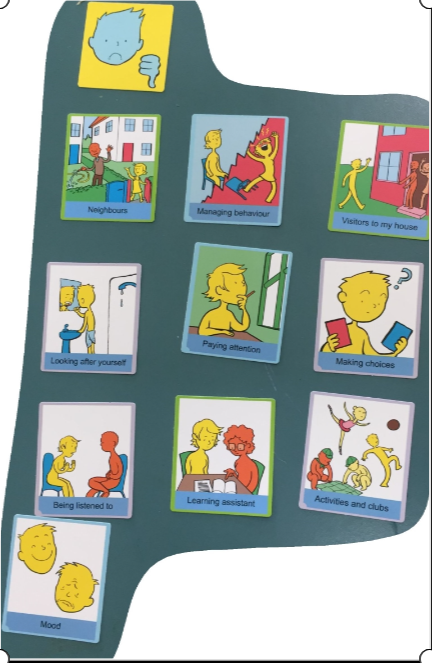 One example involved working with a young person with selective mutism where Aileen used Talking Mats to great effect to help prepare and plan for her witness interview . She created options around the optimum environment for the interview e.g. lightening, seating etc but also options around the mode of giving evidence . The witness wanted to write things down and wanted the intermediary to speak them out loud. The day left me in no doubt that intermediaries are effective in enabling the voice of those who would not otherwise be heard, be heard. I remain concerned and puzzled as to why Scotland does not have the scheme. We do have appropriate adults but this role does not have the legal standing nor the training and qualification demands of the registered intermediary scheme and in practice the focus of the work is different . I hope this situation will change. The intermediaries for justice organisation have now established themselves as a charity and if you want to find more about their work then visit http://www.intermediaries-for-justice.org. This entry was posted in Blog on June 5, 2018 by Margo Mackay.